The most favoured class in the casinos are table games which are played using the different number of decks of cards. The table games are beloved of the casino players as they require the combination of skills, strategies and luck and doesn’t require any specialisation for achieving big wins. Blackjack One is also one such variant which offers different deck of cards that allows the players to use their strategies and skills. However, what makes it different from other variants is its lively environment which includes a real human-dealer facing the HD webcam which gives a realistic-gaming experience of the land-based casinos. About the developer of Blackjack One!! This lively version of the classic game is developed by the Extreme Live-Gaming, a casino game developer who is very well-known for bringing casino games into the world of live online gaming. The players can now experience the realistic atmosphere of land-based casinos in their mobiles, pcs and tablets. Blackjack One is played with 6 hands where players can place their bets on any selected number of hands according to their preferences. Players can either choose similar betting amounts for all 6 hands which range between £1.00 and £100.00 or different bet for each hand. There are eight decks in this variant and players are assisted by the professional human-dealer who deals with real-cards on the real game table. Moreover, players can even connect with dealer by utilising the chat feature offered in this variant. This game also includes side bet feature where players can place their bets too. Side Betting: The main attraction of this variation of Blackjack is its side bet feature which includes perfect pairs and 21+3. 21+3 is the game where players have to form a poker hand by using first 2 cards selected by them and also display a card of the dealer. Whereas, Perfect pairs will be won when players form a pair of any kind from the first 2 cards; i.e either a pair from the same house, coloured pair, similar value etc. 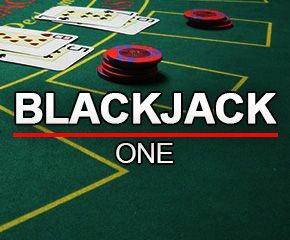 Playing Blackjack One-deck: the players only aim is to ensure that they draw cards which are very close to twenty-one points on all hands or else they will lose the hand. If players get twenty-one from first 2 cards, they will be instant-winners for that hand and will be rewarded with a payout 3 to 2 of their betting amount. Moreover, beating the dealer’s hand will reward players 2 to 1 and 1 to 1 with insurance when the dealer gets the blackjack hand. 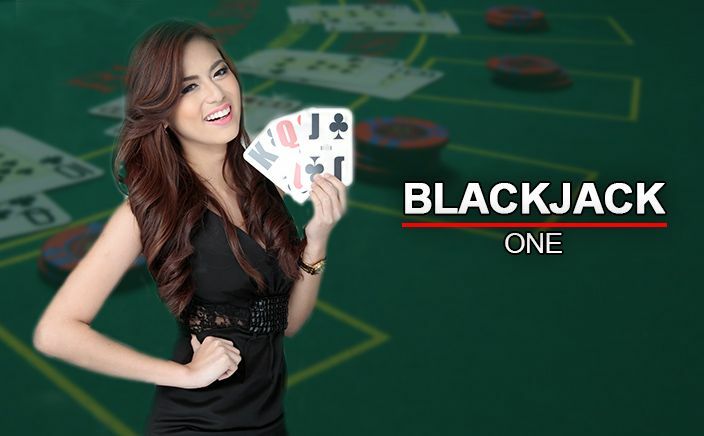 The Blackjack One is the perfect game which offers a lively environment along with the multiple-hands in main and side-bets. This variant has so many lucrative features that players can easily earn hefty amounts in every round if played using some strategy.